Resolution No. 1: Improve Board Recruiting – When it comes to new candidates, take special care to vet their experience and upside. Push beyond basic background skills (accounting, marketing, human resources) to see which of your candidates flash leadership, critical-thinking and position-flexibility potential. Nonprofit Resolution No. 2: Make Sure Your Board is “Money Smart” – The old adage “what you don’t know can’t hurt you” is what the Irish refer to as “malarkey.” That’s especially true when it comes to finance. These days, it’s imperative that a substantial portion of the board is reasonably familiar with fund accounting and can recognize the financial “red flags” that can mean trouble. Nonprofit Resolution No. 3: Look Inward: In the nonprofit environment, board self-assessments are not usually a priority because directors often face time constraints. Have nomination committee members – consider a task force of three board members – who are knowledgeable and able to devote extra time. Nonprofit Resolution No. 4: Define The Brand: Board members occasionally talk about the organizational brand image, but don’t focus on it. That can’t be. The brand is as crucial here as it is in any other sector – and perhaps more so, since it can aid or blunt fundraising. Indeed, a strong brand goes a long way in engendering public respect, support and in attracting funds. One-way to assess a nonprofit’s uniqueness is to ask board members and staff to wrestle with the question: If this organization were to disappear, who would miss it? Nonprofit Resolution No. 6: Review Board Processes for Micromanagement – The micromanaging board is a worthy model for smaller nonprofits that remain at a “startup” level for a long time. But some nonprofits retain this governance model (with its dependency relationships), long after it is needed. The CEO values the board trust assigned to him or her, and carefully guards against the board receiving surprise announcements. When a board member works on a specific operating project, it is clearly understood that he/s is accountable to the CEO for results. The CEO has board authority to borrow money for short-term needs. Ask the CEO to become an honorary board member. Nonprofit Resolution No. 8: Develop Donor Relationships – Let’s be honest: We know that “people give to people … and not to causes.” Knowing that, the board needs to formalize a “relationship-management” initiative with your major donors – but do so in a way that makes the relationship seem “real.” There need to be formal policies guiding all this – guidelines that answer such questions as: Who in management and/or board should be responsible for these contacts? How frequently should the contacts take place? And whose problem is it if things go wrong? Nonprofit Resolution No. 9: Plan for Succession – This is critical. 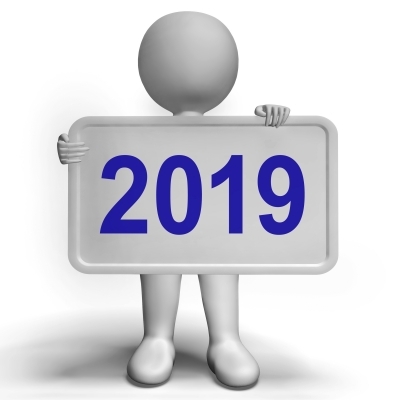 Boards must be sure that the CEO has a strong cadre of “next-generation” manager/leaders who are growing in their current jobs and who show promise for advancement should the opportunity/or necessity arise. As part of that, directors must be well-acquainted with the strengths and weaknesses of the top prospects in that group. And while the ideal plan allows for at least three years for a CEO transition, the written plan (yes, it should be written) should have a contingency in case the top executive becomes incapacitated or leaves abruptly. Nonprofit Resolution No. 10: Strengthen the CEO Evaluation Processes – Determining fair CEO salaries and benefits, based on productivity, can be challenging for nonprofit boards. Providing too little or too much can be dangerous for the organization and possibly the board members. Although the spadework for benefits needs to be done by a small committee, the entire board needs to be in agreement on the final decision. Nonprofit Resolution No. 11: Make Optimal Use of the Board Members’ Time – Nonprofit boards are a team – and must function as one. That teamwork that must be meaningful, but individual tasks are crucial, too. Whenever possible, play to board members’ individual strengths or interests. Some board members will revel in planning the annual dinner; others will want to focus on strategic planning and policies. Nonprofit Resolution No. 12: Eliminate Ineffective Directors –The for-profit corporate board can have more leverage in this effort because funders have a significant financial concern with the effectiveness of the board. 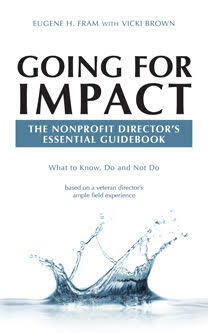 It can be very difficult to drop an ineffective nonprofit director, even when he/s does not attend meetings. Nonprofit board members often care more about “hurt feelings” that develop with such a board action. That can’t be a factor. With the rising number of challenges and potential pitfalls that face nonprofits today, you need the best on your team. And that, after all, is the name of the game. Happy Holidays to all of you. Thanks for following our work here in 2018. Here’s wishing you a successful New Year. ← What Attributes Qualify a High Performing Nonprofit Board? Awesome advice. I will definitely follow this as I am new in the NPO. Life needs a brave person.